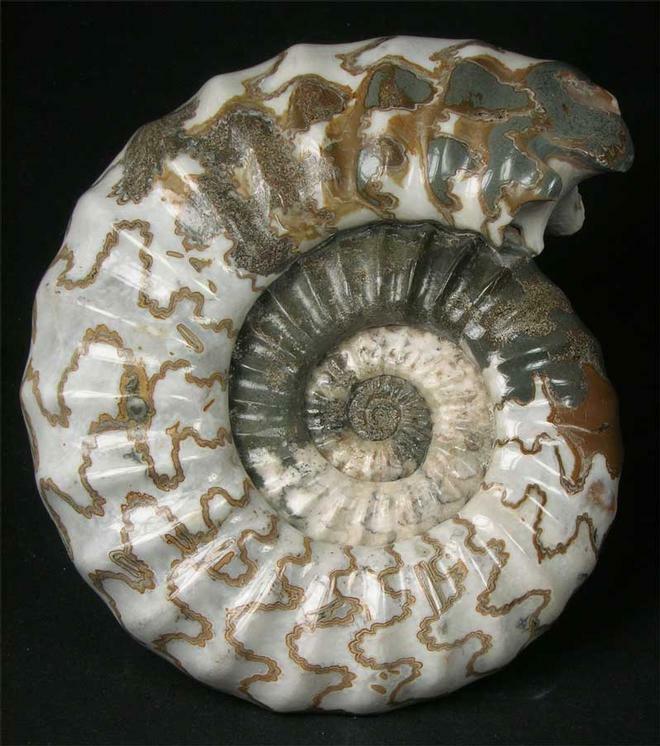 Ammonites from this world famous Liassic site are amongst the most sought after of all ammonites. 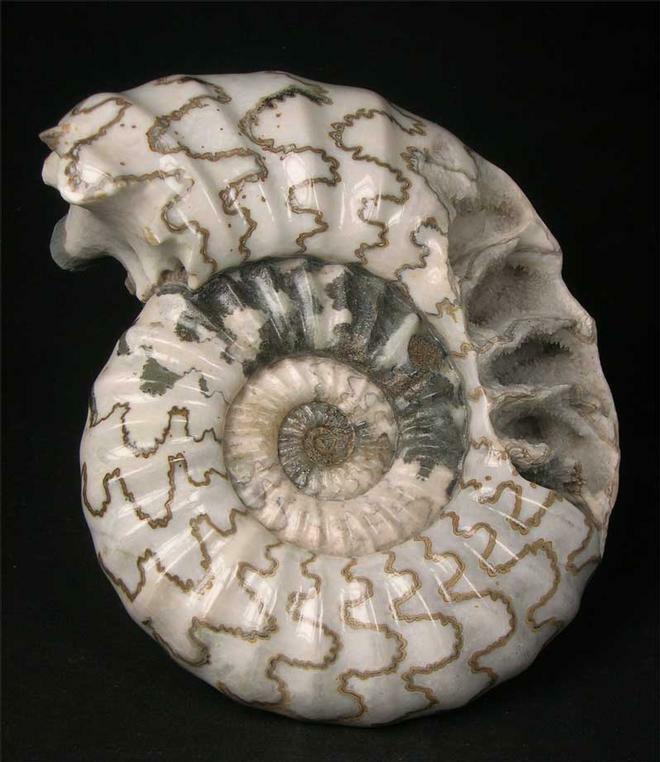 This particularly fine example has had its shell removed to reveal the beautiful white calcite which has been polished to reveal the stunning sutures. 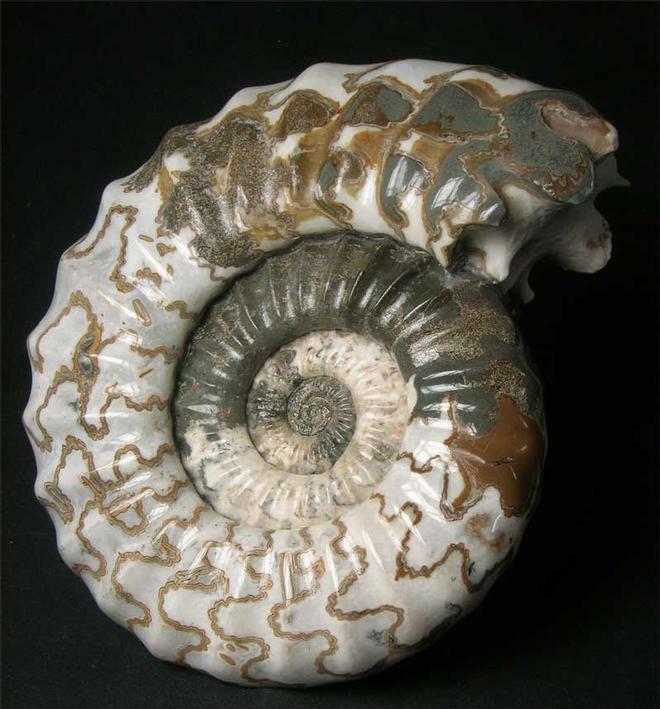 The ammonite has been prepared on both sides which is indeed rare for a Scunthorpe ammonite to be preserved this way. 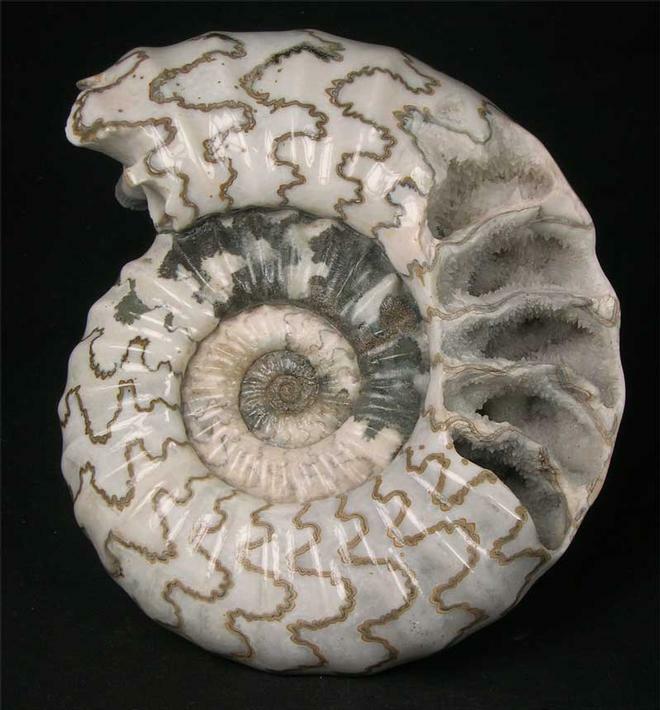 Part of the ammonite is broken, this reveals the beautiful and hollow calcite lined chambers. Specimens of this quality are seldom seen and this is exceptional, unrepaired and with no filler. They simply don't come much better than this !! The specimen is approximately 200 million years old and will make a serious and sound investment for the future.